As you may or may not know, there is an event: The Tropicalia Bazaar where designers get together to provide affordable items for everyone! It seems it was successful enough to warrant a second event The Tropicalia Bazaar II, and MOLiCHiNO will be participating!! They also have a magazine which you can read here: http://issuu.com/thetropicalia so make sure you head on over and check it out! Now for the goodies!! And what perfect timing right before christmas! You can shop for yourself this time around for great prices as everything at the Tropicalia Bazaar is L$75 or less!!! 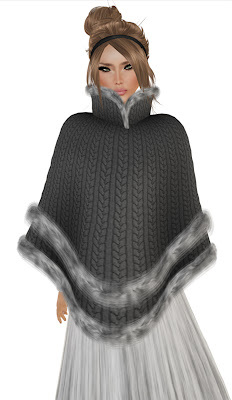 The event starts today 7th December and runs until 20th December so there is plenty of time to shop! So what are you waiting for??? 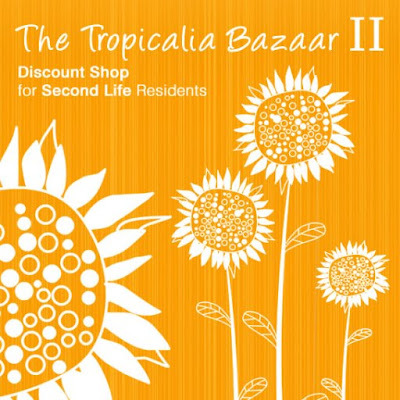 Visit the Tropicalia Bazaar II now! !